Costa Blanca is a region on the southeastern coast of Spain, located in the province of Alicante and extending 240 kilometers along the Mediterranean Sea. It got its name because of the color of the sand on the coast: from the Spanish “costa blanca” it means “white coast”. 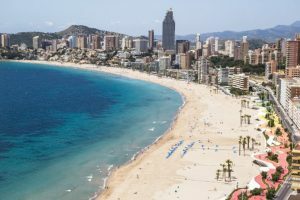 Many foreigners acquire real estate here: they live on the Costa Blanca for several months a year, and the rest of the time they rent the purchased houses to tourists. In the south, people buy more actively than in the north: the beach season lasts a month or two and a half longer, the higher along the coast, the summer is not too hot, and in winter the mountains shelter from cold winds. Alicante (Alicante) – the capital of the province of the same name, the second largest city of the autonomous community of Valencia. It is considered the “gateway” of the Costa Blanca: 10 km away from Alicante-Elche International Airport, the fifth largest passenger traffic in Spain. In just two hours, you can get from here by high-speed train to Madrid, and by 2023 the same transport will be launched to Barcelona. Many beaches of Alicante are awarded the Blue Flag quality mark. The most famous of them are the golden sands of San Juan Beach, Postiguet, convenient for people with disabilities and Albuferetha, popular with local residents. Coastal real estate is cheap: a one-bedroom apartment in Alicante with an area of ​​70 m² with a terrace and sea view can be bought for an average of 100–150 thousand euros. South of Alicante is Elche (Elche) – the only Spanish city that owns three UNESCO World Heritage sites at once. The city is just 20 kilometers from the coastline. The coast is ideal for water sports: diving, windsurfing, kiting or canoeing. More than 10 beaches in the area, located in the areas of La Marina, Arenales del Sol, Gran Alacant and Santa Pola, have been awarded the Blue Flag award. 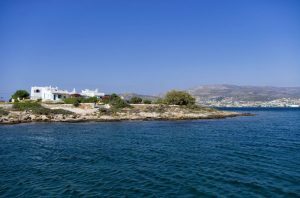 From Santa Pola you can go to the only uninhabited island of Tabarka in Valencia – its water area is recognized as a marine reserve due to its excellent water quality and the flora and fauna preserved here. Unlike Alicante and Elche, Torrevieja is a small, relatively young city, built only in the XIX century. Today, almost half of the population are foreigners who come to Torrevieja for the season. Most of them are from the UK and Russia. Within the city there are three large beaches marked with the “Blue Flag”: Nawfragos, El Cura and Los Locos. In the center of Torrevieja, there is the largest urban beach of La Mata, which is more than 2 kilometers long. Foreigners often buy property on the coast, especially in Torrevieja the lowest prices per square meter on the Costa Blanca: a spacious apartment with a terrace will cost only 80-90 thousand euros. Orihuela Costa (Orihuela Costa) is located down the coast. It is a popular area among foreigners, which has as many as 11 beaches marked with the Blue Flag Award. The best beaches are located in the beautiful areas of Punta Prima, Campoamor, Zenia and Cabo Roig. According to Anna Boyarchukova, Tranio real estate manager in Spain, Orihuela Costa is often chosen by Europeans from cold countries. “The district lives all year round, which makes it attractive from an investment point of view,” she says. “Those who come here for the winter period, improve their health, play golf – there are five large prestigious golf clubs here.” The coast of Orihuela is considered the most expensive on the Costa Blanca: an apartment of 70–80 m² with a sea view costs about 120–150 thousand euros. Pilar de la Horadada (Pilar de la Horadada), the southernmost municipality of Alicante, is located on the border with the province of Murcia. Here was the “Road of Augustus”, which the Romans built in the I-II centuries BC. The place got its name later, in the epoch of the Reconquista: then the Spaniards erected a number of guard towers here along the sea line, which informed them about the approach of pirate ships.